Food Banner Of Meat Cut Into Strips. 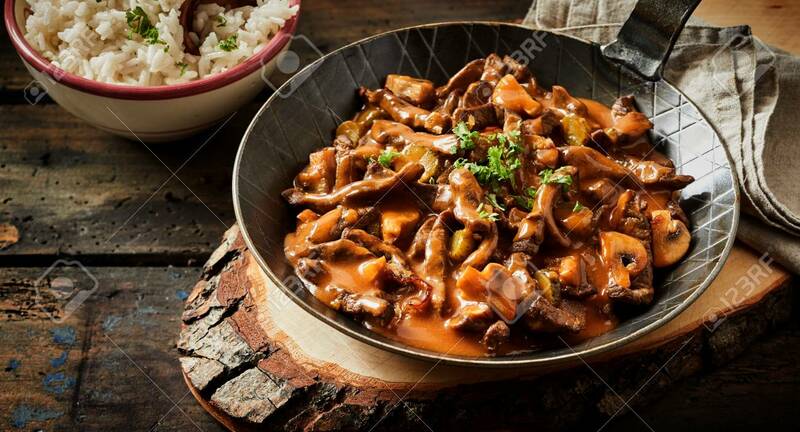 Pan With Goulash Stroganoff Meal On Rustic Wooden Plate Royalty Free Fotografie A Reklamní Fotografie. Image 69496552.